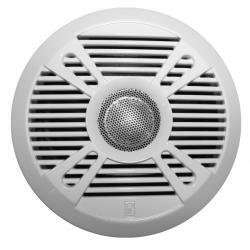 Audio Systems | Exalto Emirates LLC. Model GM-MRD80 GM-MRD80 is a gimbal mount bracket that allow your&nbsp;MRD80/MRD80i unit to mount anywhere from top to&nbsp;bottom. With the gimbal mount, no covers or additional&nbsp;mounting boxes are required for installation. Available in&nbsp;black only. MR45D-Cpak is a combo package of MR45D stereo, a pair of MA206 speaker&nbsp;and WC2 splash cover. 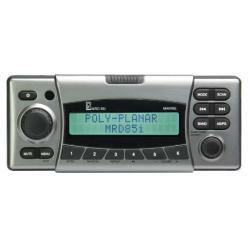 MR45D is an AM/FM stereo without CD player.&nbsp;MR45D is a stereo receiver designed specifically for the marine environment&nbsp;with adjustable backlight display. Front and Back AUX-Input available for&nbsp;your MP3 music device, iPod&reg; input available for your iPod&reg;/iPhone&reg;&nbsp;devices and USB input available to play your music from a USB flash drive.&nbsp;Wired and wireless remotes available&nbsp;(sold separately). Model WC3 The gasket-sealed lid on this splash cover prevents water entry into virtually any&nbsp;marine or spa stereo on the market. 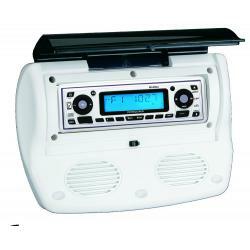 Accommodates any dual post, removable&nbsp;and DIN-style stereos. Contemporary styling makes it an attractive addition to&nbsp;the dashboard or wall. The lid lifts easily and stays open in multiple positions&nbsp;to maintain partial splash protection while allowing access to radio controls.&nbsp;Stainless steel mounting hardware (included) ensures that corrosion will not&nbsp;damage the mount. 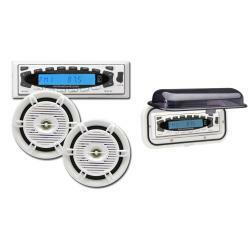 Install virtually any auto or marine stereo on your boat without fear of damage&nbsp;from moisture, corrosion or UV rays. 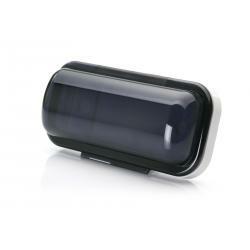 The WC400 is waterproof housing that&nbsp;surrounds your stereo on all sides for maximum protection. A gasket-sealed,&nbsp;polycarbonate splash cover on the front of the rugged ABS enclosure prevents&nbsp;water from entering. The hinged cover lifts easily and remains out of the way in&nbsp;any of several positions. When open, it maintains partial splash protection while&nbsp;still allowing access to stereo controls. Wires and a rear connector let you hook up&nbsp;the stereo and antenna through the housing. 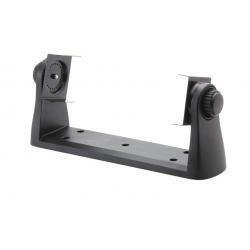 A gimbal mounting bracket permits&nbsp;installation above or below the dash, under an electronic box or on any convenient&nbsp;horizontal surface. 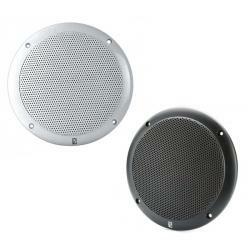 WC-700 is waterproof stereo housing with two 3&rdquo; built-in marine speakers. 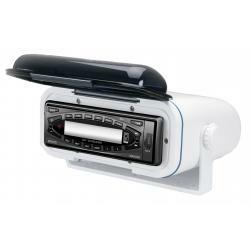 This&nbsp;housing allows the convenient mounting of a stereo or CD player without the&nbsp;need for remotely mounted speakers. It is ideal for small boat applications or&nbsp;where space is limited. Gasketed cover designed to keep moisture away from your&nbsp;stereo. 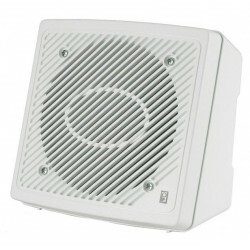 Accommodates dual post, removable and DIN-style stereos. 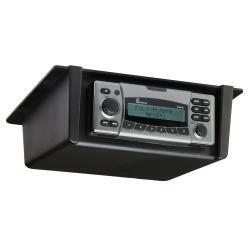 RM-10 Radio mount is designed to accommodate today&rsquo;s larger front panel format&nbsp;Marine radios as well as older DIN style and post mount. Made from heavy wall&nbsp;ABS plastic, the RM-10 has room for all the accessory cables found on the newest&nbsp;radios. Accepts Poly Planar, Sony, Jensen, Marine AV and even Clarion CMD4! 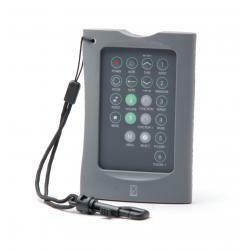 6&rsquo; wired remote with display for MR45 series and MRD80 series stereos. 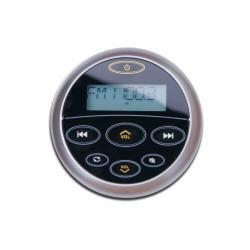 The MRR21 Wireless infrared remote gives you the freedom to control your Polyplanarsystem from any area of your boat. This small, floating remote comes withan attached lanyard and convenient storage hook. 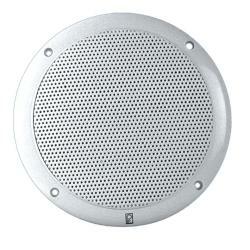 5&rdquo; 2-way marine speakers. Upgraded waterproof design supplied with both white and graphite grey grills. 6.5&rdquo; 2-way marine speakers. Upgraded waterproof design supplied with both white and graphite grey grills.